For emerging writers who are seeking self-publication, the journey to publication can feel like swimming in the middle of the ocean with no idea how to get to the shores. In this interview, Joel Friedlander from thebookdesigner.com talks to Dana Kaye about self-publishing and how authors can get more publicity for their books. Joel is a book designer who runs a website on publishing and has been giving brilliant advice to authors on how to get their work published. Dana is writer and book critic with years of experience in the industry and recently published Your Book, Your Brand, a practical guide on building author brand in self-publishing. I’ve finished my book – what do I do now? Congratulations! You have finished your book and have decided to go for self-publishing. But how? Medway’s creative community had a ‘Wow’ of a night earlier this month, as we moseyed on up to the Corn Exchange in Rochester for the Medway Culture and Design Awards. With a key note speech made by Martin Green, Head of Ceremonies for the London Olympics, we were in exalted company: he’s the man who put together the wondrous team which produced the opening and closing ceremonies and the torch relays and re-affirmed Britain’s place on the sporting and cultural map of the world. The whole evening was underpinned by the first winner announced being our very own Creative Producer, Emma Dewhurst. WOW Magazine won the media award, in an extremely tough category which included violaFilms and Medway Eyes, not to mention coFWD, the coworking space we’re associated with. Highly commended in the Literature category were our good friends, ME4 Writers. The writing collective set up four years ago by Sam Hall was praised for having achieved so much in such a short space of time. Sarah Jenkin, Medway Community Librarian who is also part of ME4, was keen to expand on the recent ‘Letters Home’ collaboration between the libraries and the group. “When Sam approached me about this event, I knew libraries had to be involved. For so many, their definitions of home and identity and culture are not acknowledged, erased from history. Other people write their stories for them, defining their identities for their children. With the excitement of the Unfinished event now behind us, we’ve had time to catch up with other projects! And if you live in Rochester, you should have seen a new magazine called Rochester Bulletin, which also features us – and if you’ve seen it, you’re one step ahead of me. I’m hoping there’s a copy waiting for me in coFWD I can pick up today! It’s already resulted in a few emails from lovely people offering their assistance! The new book from Philip Kane is available now. 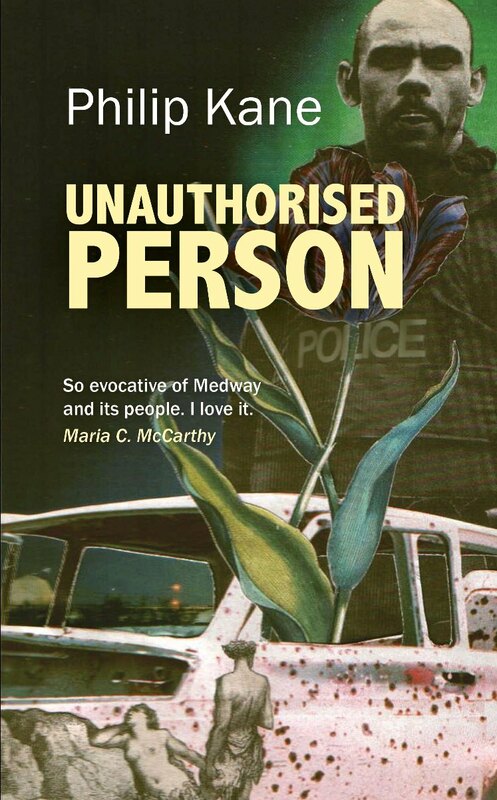 Unauthorised Person, is a ‘concept album’ of poetry and images from our Artistic Director, well known in the Medway Towns and beyond. Published by Maria McCarthy’s Cultured Llama Press, who are holding the launch of another new book, Unexplored Territory on 15 November at the Beaney, Canterbury. No fewer than ten of the the contributors to the anthology will be reading, and the books will be available to buy for £8 a copy. Go and treat yourself! The Restore Rochester Castle Charity is holding a one day exhibition on Saturday, December 1st, featuring the work of Peter Reeds, Jon O’Donnell and Chris Tong. And quite possibly, you! Their work will be visual but I’m looking for written work, featuring, strangely enough, Rochester Castle. This can take the form of short stories, poems, anecdotes, thoughts and feelings – anything at all you’d like to express about the castle in word form. How you present it is up to you but bear in mind that space will be limited. The exhibition will be held at the Craig Turner Gallery in Maidstone between 10-4. For more information, contact the group via their website. For written submissions, plain texts can be sent to me at jayenolan-rochester@yahoo.co.uk but for more colourful or textual written work, I’ll find out if this can be dropped in directly at the gallery or somewhere else convenient – I will update you on that! So, after I’d finished with Jamie, I ambled casually over to James for my supposed three minutes, three questions – the answers to which you can find here, within a review of the event. However, no-one came to drag me away so I stayed where I was and asked him a few more! One of James’ projects in post-production is BBC film Richard 11, one of four medieval big budget films by the corporation, utilising the Shakespeare brand for the arts festival coinciding with next year’s Olympics. “I play Thomas Mowbray, the Duke of Norfolk, who, importantly, is edged aside by Bolingbroke. It’s a meditation on the divine nature of Kingship. Any advice for Rochester’s community of writers and film-makers? James and Jamie’s presence on Saturday night made an unusual evening into a memorable, magical event, so a heartfelt and massive thank you to them both. If you’ve enjoyed reading these interviews, how about popping over to the Restore Rochester Castle website and showing your appreciation by way of a donation; they, and we, will love you forever! 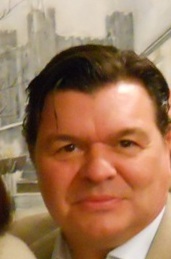 In Conversation with … Jamie Foreman. 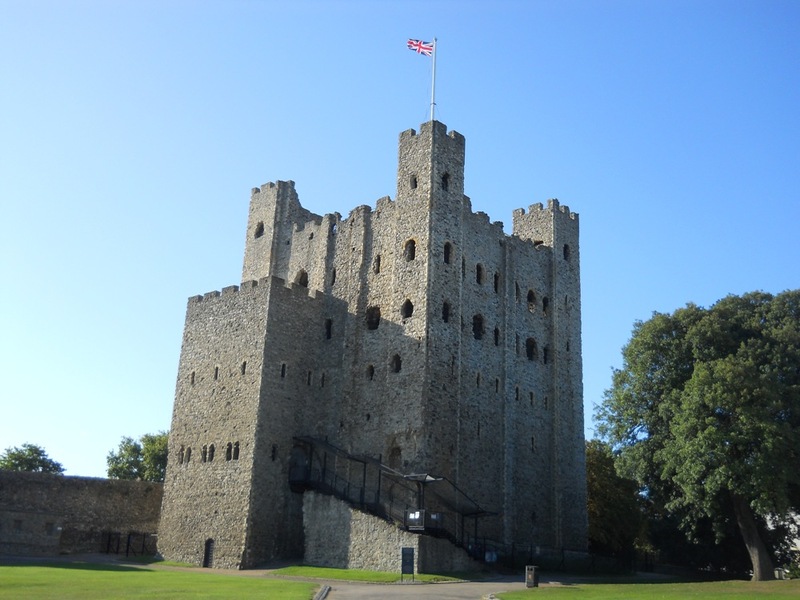 I was lucky enough to have an access-all-areas pass on Saturday, for Nomad Open Air Cinema’s screening of Ironclad, the film depicting the 1215 siege of Rochester Castle by King John. 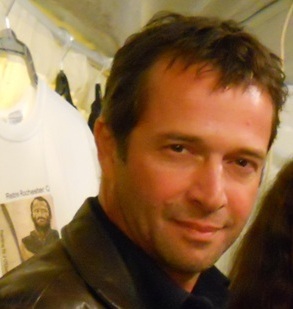 Taking full advantage, as you’d expect, I chatted to the stars in attendance, James Purefoy and Jamie Foreman, who made the special trip along to help with fundraising for the Restore Rochester Castle group. Jamie Foreman, who plays mercenary convict Jedediah Coteral in the film, is looking forward to his new role in EastEnders, as the eldest, baddest, Branning brother. There may be plenty of fighting around Albert Square, but filming the violent action and stunt sequences in Ironclad is an altogether different experience. With new films in post production and being unable to resist EastEnders, Jamie does, nevertheless, have a project already lined up for the future. Galleries of the evening can be found here and further quotes and review here.